Imagine what life would be like without access to modern-day energy sources, like electricity. This is energy poverty. For millions of poor people across the globe, their livelihoods, well-being and health are affected by the harmful energy options they are left with. Here are five facts you should know about energy poverty. Living without electricity is not easy. 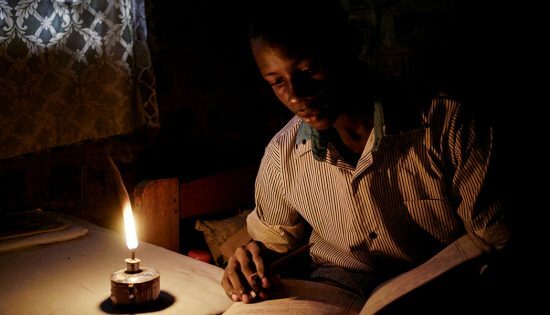 An estimated 1.2 billion people do not have access to electricity.1 That means 16% of the global population live every day without lamps, appliances or phone chargers. Families who live far removed from the electrical grid face tough decisions regarding energy: Try to make do with the dim lighting of candles? Risk the dangerous fumes kerosene lanterns emit? Or just sit in gathering darkness? Lighting a home can be dangerous. An estimated 58.3 million people use kerosene to light their homes.2 Kerosene use has been linked to lung cancer, pneumonia, heart disease and other health problems. In addition, kerosene lamps can be easily knocked over and is a leading cause of many house fires. About 140 million potentially productive person-years are annually wasted on fuel collection.3 That’s time better spent on work, education or with the family. Cooking can pollute and kill. Innovative solutions can reduce energy poverty. This is why FINCA launched BrightLife, a program to bring life-changing technology and education to low-income people. For example, in Uganda, FINCA has helped thousands of families gain access to solar lanterns. As a result, shops can stay open later, boosting their earnings, and children can do their homework and improve their prospects for the future. Our solar devices are also replacing expensive and dangerous fuels like kerosene. 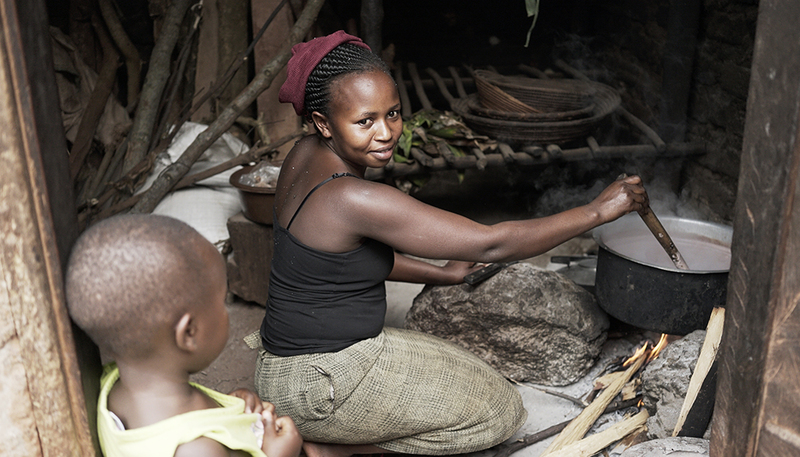 FINCA is also increasing access to fuel-efficient cookstoves to women in Uganda. Because our stoves burn fuel efficiently and cook food more quickly than cooking over an open fire, our clients can save more than 10 hours per week compared to using an open fire. And, of course, the stoves also reduce emissions of smoke and other pollutants.